I would like to thank you for taking the time to read our story about the home buying process and the buyer consultation process. Our goal is to help home buyers understand the steps in purchasing a home and how they can save time and money. We would love to hear from you if you have any questions. You can reach us directly at ernie@gonzalesteam.com or 702-291-8126. Because you deserve the best service when buying a home contact us for a buyer consultation appointment. On Sunday evening we were cleaning up the garage when a car pulled up to the house across the street that is for sale. That is a whole different story why we have a house across the street that we don’t have listed. It is a sad situation because our dear neighbors lost their house to the bank. A family jumped out of the car and started looking in the windows and peeking over the fence of the vacant home. We watched to see if a real estate agent would show up to show the home to them. No one ever did so Ernie asked if they wanted to go into the home to take a tour. Of course they were very excited and accepted his invitation to view the home. We have lived across the street from this house for many years and have even sold it twice in the past so Ernie was able to give them a lot of information. The family was so excited looking through the home. The kids were picking out their rooms. They even claimed the loft as their toy room. Mom and Dad were placing their furniture and they wanted to know more about the neighborhood, schools, and shopping in the area. As a buyer these are the experiences that you enjoy as you house shop. And your real estate agent should help guide you through them. This family was so sweet and very excited about the home. As they walked through Ernie asked if they were working with an agent? They told Ernie that they had called an agent to start the buying process with. They had never met with her and she told them to drive around on their own and look at homes. She instructed them once they found a home that they liked they should call her to view it. Ernie was in utter shock as to how the real estate agent was handling this situation. You see we make it a point to have a buyer consultation appointment with every one of our clients. How else would we know how to help them get into a house in the least amount of time and with the least amount of money. For some reason this is the step that most agents skip. Either they think it is a waste of time or they don’t know how to show the client it is the best process for them to buy a house. Don’t get bad service, you deserve the best contact the Gonzales Team today to ask about a buyer consultation. The buyer consultation is one of the most important steps in the buying process. It can be time consuming depending upon your situation, but our job as a real estate agent is to find out what the buyers needs and wants are. What better way than a buyer consultation to do that. During a buyer consultation it is best to meet in our office because there is so much information to go over. It can take anywhere from 30 minutes to 3 hours. This is all dependent up on you the buyer not us the agents. If you need more from us we are willing to give it to ensure you get your dream home. First we go over what your family needs and wants are for a new home. Such as bedrooms, living spaces, bathrooms, garage, kitchen, backyard, storage, and overall feel of the home. Next we will go over the wants and needs for the neighborhood. Such as schools zones, style, restrictions, no restrictions, proximity to work, and desire area. Then we will go over your must haves that you can’t live without. This can be different for each family depending on lifestyle. Some examples would be; Proximity to work, If you want a short commute living next to work would be a must have. Garage size, If you need lots of storage for tools and hobbies an oversized garage would be a must have. Bedroom downstairs, Maybe your mother-in-law is moving in with you or will be visiting frequently and they can’t maneuver steps anymore this would be a must have. Then we go over the current market conditions so that you know what you will be getting yourself into. Are we in a Buyer’s market or a Seller’s market? 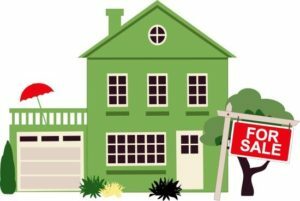 Are Seller’s contributing to Buyer’s closing costs, and if so what is the customary amount and items that a Seller pays? What are the average days on market? Being prepared on the market conditions plays a bigger role in purchasing a home than you think. It can even save you money, time and from losing that perfect home in the long run. Next we will have you speak with a local lender to see what your buying power is. For some Buyers this is the scariest part about buying a home. Particularly if you don’t know what your current credit scores are. The lender will not only look at your credit but they will help counsel you to the best loan program for your situation. If they are a good lender they will discuss many options with you including down payment assistance programs so you come in with less money. We will go over all the legal documents in a non stressful environment so that when you write an offer you know what you are signing. If you don’t go through them during a buyer consultation you could be rushed to sign off on a contract so that you don’t get out bid by another buyer on a house. This way you will feel so much more comfortable if we are ever in that situation. 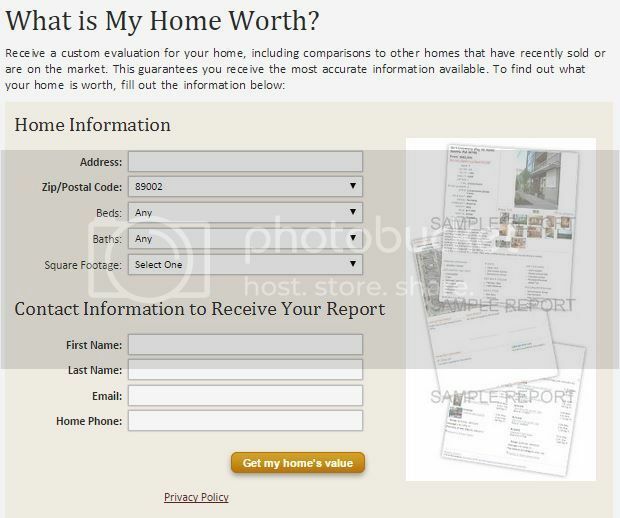 Finally we we start looking at homes and neighborhoods that match your criteria.This is the fun part. It is like window shopping to see what your options are. Then we will take you on a neighborhood and house tour. If we have done our job correctly we will only be viewing homes that match your needs and wants. This simple step ensures you will not be wasting your time and gas looking at the wrong homes and even looking at homes that already have an offer on them. How would the buyer that we met on Sunday have known if the house had an offer on it. They would find the home driving around, fall in love with it and then call the agent to get more information (like she instructed) to only have their heart broken that is wasn’t even available for them to buy. Why would we do this to our clients. It sounds like torture honestly. The bottom-line is, a buyer consultation can save you as the buyer so much time and effort when looking at homes. If you would like more information on a buyer consultation or would like to set an appointment for a buyer consultation please contact us directly at 702-291-8126 or you can email if you prefer to ernie@gonzalesteam.com or even fill out the contact form below. We would love to hear from you on your thoughts. Because you deserve the best service when buying a home contact us for a buyer consultation appointment.